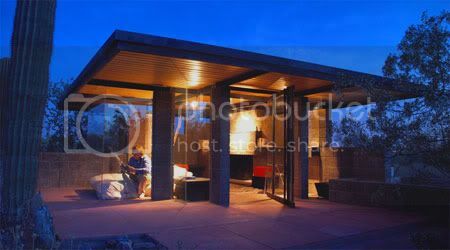 A writer for the New York Times called the Taliesin Shelters perhaps "the hippest dormitory in the world." The "shelters," as they are called, dot the natural landscape surrounding the campuses, and are offered to students as options for living while attending school. The construction of Taliesin West, begun by Frank Lloyd Wright in 1937, was designed by Wright and built over many years by apprentices who were a part of the resident Taliesin Fellowship. Taliesin West is the main campus of the Frank Lloyd Wright School of Architecture. 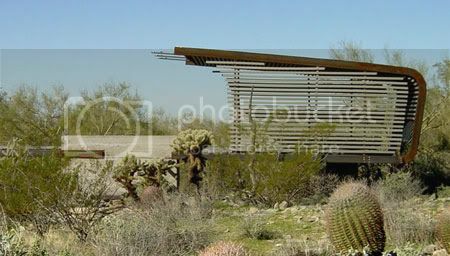 The buildings rest on 500 acres of preserved Sonoran Desert open space on the South foothills of the McDowell mountains with spectacular views of Scottsdale, Phoenix and the Valley of the Sun. 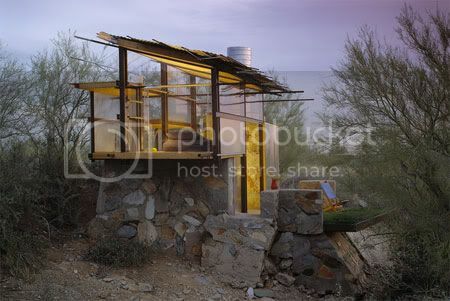 Students at Taliesin West are provided the option of living in experimental desert shelters during all or part of their residency. Some of the student's design shelters are: Hook Shelter, Glass House, Hanging Shelter, Leaf Cube Shelter,Desert Perch Shelter and Ryan Hewson's shelter. 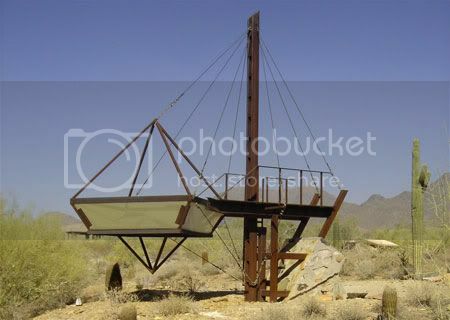 The structures at Taliesin West can be visited on the student-led Taliesin West Desert Shelter Tour, Saturdays at 1:30 between mid-November and mid-April and by appointment at info@taliesin.edu. how the hell do you live in these things? Gee, two of them looked livable as pictured, one even showed a real human in residence. Not clear how the yellow cube? or some of the others work though. I attended the School. 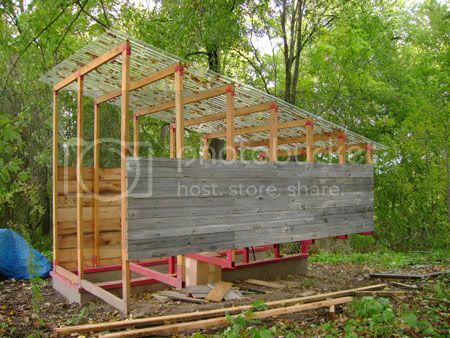 Although I'm not directly knowledgeable with most designers of these shelters, some of these images are outdated. 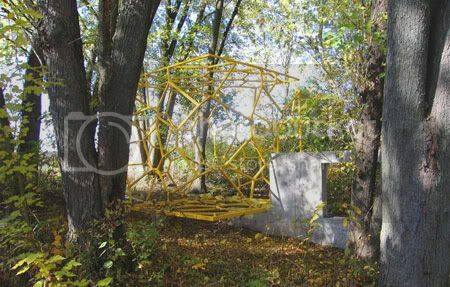 The "yellow cube" is actually a framework which was designed to receive a "skin" to protect occupants and interior from the weather. Others, like the oil rig-like shelter, one has to climb a ladder to seek shelter (which would be under a tent on the left side) -- although I wouldn't want to do that in a lighting storm. The Glass House is very interesting (Mies meets Wright). The others are hit or miss, but all interesting experiments.